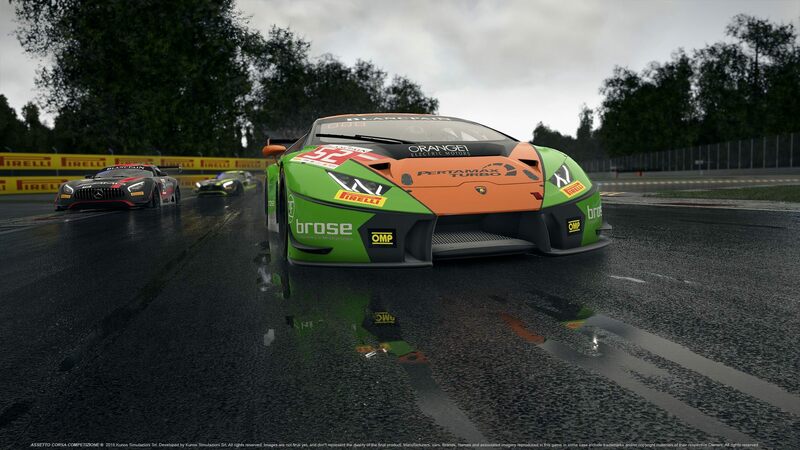 Discussion in 'Assetto Corsa Competizione' started by GTPNewsWire, Oct 16, 2018. This article was published by Joe Donaldson (@Joey D) on October 16th, 2018 in the Assetto Corsa Competizione category. I'd guess it's at least a year out. They've said there will be a console version if they can get satisfying performance out of the engine, but they're probably nowhere near being able to determine if console performance will be satisfying. th3o and Gregfranklin like this. i hope they develop only with PC in mind and check then afterwards if the game can be 'cut down' for current gen consoles. if not then i reckon that gamers on the next gen consoles will have a really great game on their hands. worst thing Kunos can do right now is hampering their game just so they can bring it out also for current gen consoles. next gen racing game here. so i suggest make it next gen console also. LeGeNd-1 and GTWelsh like this. Watch these interviews and their plans will be clear. IMO they're taking the exact right approach, making the best PC racing sim they can make but also taking steps along the way to try to ensure console compatibility, rather than trying to reverse engineer it like they had to with AC on consoles. The videos are kind of long but very informative and entertaining (at least they were to me), worth watching if you want to know the future of the game.